There are 10 reviews of Ambre. Curiously nobody mentioned it before, but this perfume is a Patchouli bomb. Patchouli is, according to the pyramid, a basenote, but I smell Patchouli from the get-go nicely supported by benzoin and incense (the citrics and lavender? I am still searching for them LOL), the Patchouli subsides very rapidly thou, to open the door to a very sweet ambery drydown. If you like Patchouli, you will enjoy this perfume, if you do not like Patchouli, you will despise it. Yikes - I'm the first negative reviewer! I bought a bottle of this (based on the unanimously positive BN reviews) off the 'Bay for a very good price, looking forward to something extraordinary. I have limited experience with amber as anything other than a note amongst many others, so I wasn't really sure what to expect. Unfortunately I seem to have landed myself with something which contains both of the things I hate most in all of fragdom - VERY sweet and VERY powdery, and nothing to off-set either. To me it very much lives up to its feminine category and even one spray on my chest seemed to hang around forever without that sweetness never dying down. I blame myself entirely for buying a complete unknown completely blind, so this negative review should be taken with a pinch of salt, but if you DON'T like strong sweet and powder scents, DO NOT buy amber. At the very least, test it first. If you love it, go for it with aplomb. But if you don't love it, you'll be thankful that you didn't do what I did and spring for a full bottle without having a clue what you were getting. This is a very satisfying, rich and uncomplicated amber. It is a nice, fairly linear, consistent resinous amber which not too syrupy, not too sweet and yet not too dry. There is a bit of an artificial almond smell when first applied that made me raise an eyebrow, but it burns off almost immediately on my skin and settles into a fairly linear and comforting amber. The dry down has VERY much in common with Tom Ford Amber Absolute, but for 1/8 the price. One of the best amber scents I've smelled; manages to be easy on the senses without being boring, wearable without fading badly - and would provide a lovely unisex alternative to many of the much more expensive (and also more challenging) ambers out there. Complete thumbs up. 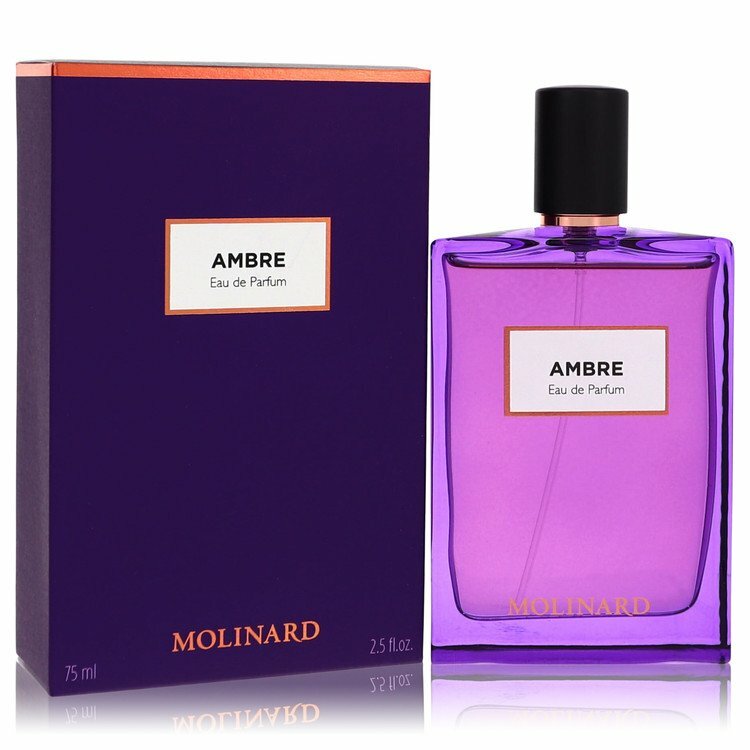 Ambre de Molinard is my new winter EDT and I just adore it. Why this fragrance is labeled for women, I just don't know. Although it is rather powdery (which is quite normal for an amber-based perfume), it does not make me smell like a melted vanilla ice-cream cone. 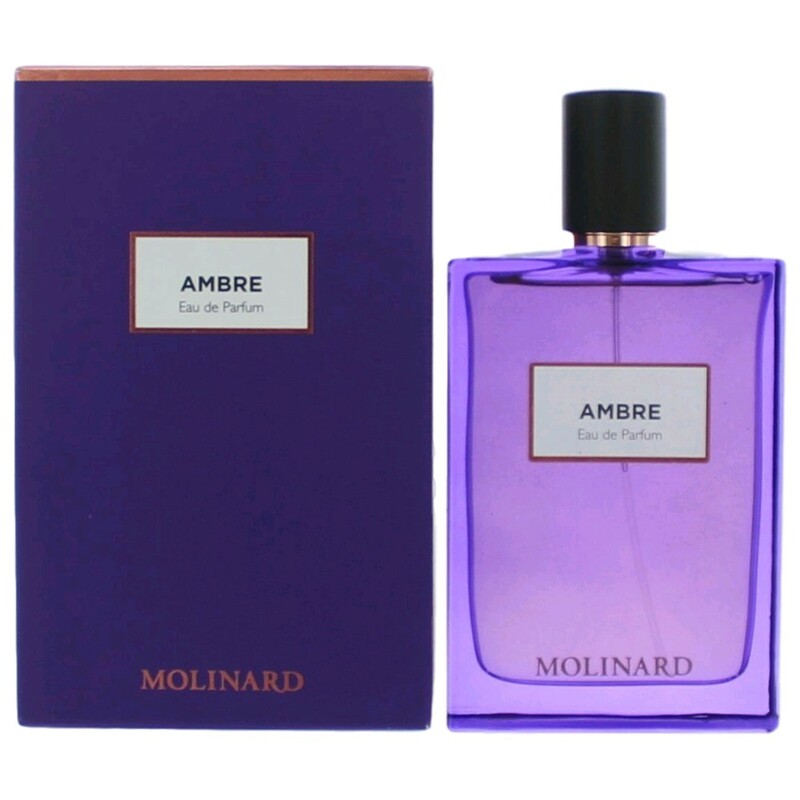 Ambre develops very well and its staying power is impressively good for an inexpensive fragrance. A big two thumbs up as far as I am concerned. There are no member images of Ambre yet. Why not be the first? Molinard Vanille and Ambre-Sound great and at the right price but are they for me?